In this before and after edition of homify, we visit two kitchens in Cape Town South Africa, both of which were in need of an upgrade. 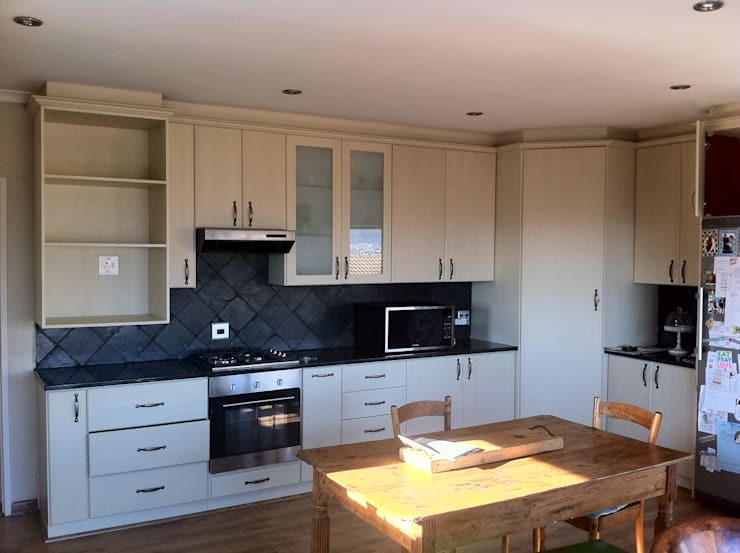 Although the kitchens weren't really in a bad condition, they were outdated, and therefore required a mini-makeover to get them looking fashionable and attractive again. The kitchen is the heart and soul of the home, which is why it needs to be comfortable, elegant and a pleasant environment for working in and enjoying some daily family time. 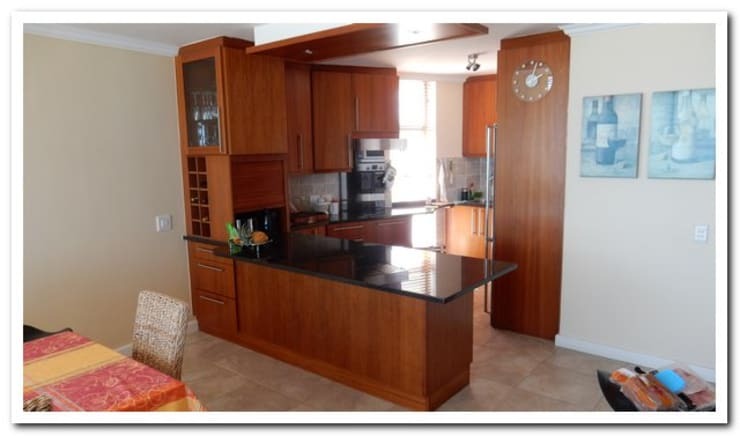 The simple kitchen upgrade saw the cabinet doors being modernised and given a lighter colour. The kitchen is now aesthetically appealing, sophisticated and full of modern style! If you're curious as to what the kitchen looked like previously, then continue reading. As you can see when comparing the two images, not much was changed to get the kitchen look chic and stylish again. The layout of the cabinets was maintained, the fixtures and fittings remain unchanged, and the solid granite countertop is still in existence. It just goes to show that even with minimal changes, your kitchen can have a new lease on life. 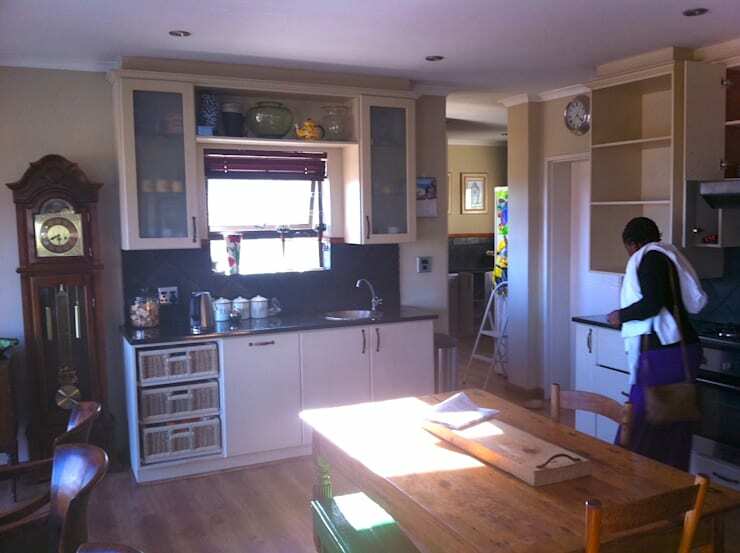 In this before image, we get a full view of the kitchen. 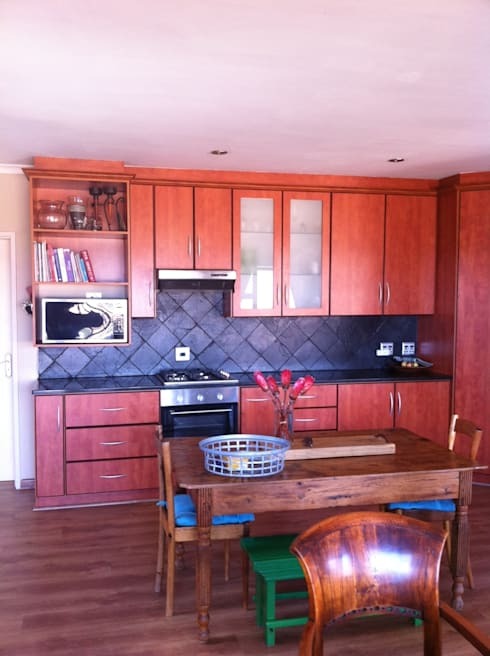 The red colour wooden cabinets and similar toned kitchen table looked tired and boring. The kitchen is now modern, cosy and comfortable. The interior architects considered lighter colour cabinets to create a chic and pleasant effect, while the table and flooring also underwent a slight makeover in order to complement the rest of the kitchen. The appliances remain unchanged, however, the microwave is now located at counter height, making it easier to use and allowing for more usable shelf space to store other kitchen essentials. 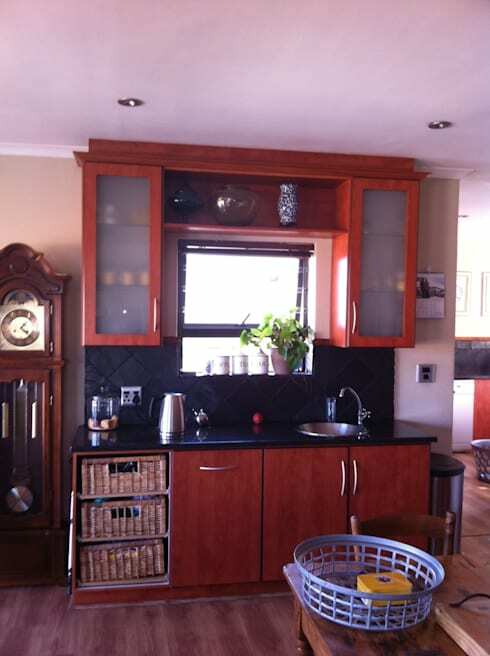 This kitchen is not unattractive, but it is in need of a facelift to get it looking modern and elegant again. And with some modest adaptations, the kitchen will look simply amazing. 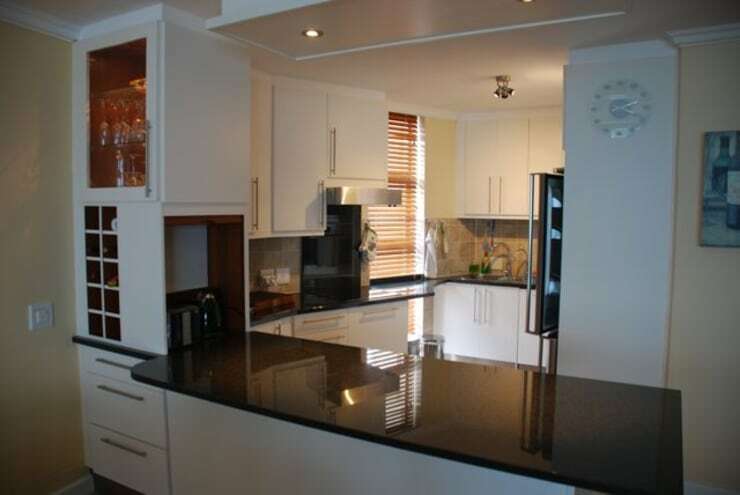 The makeover of this compact kitchen saw the colour of the cabinets changed from reddish wood to all-white. The new colour gives the illusion that the kitchen is more spacious and better illuminated than before. It's sleek and attractive, while the countertops and appliances remain the same, allowing the homeowner to have a new kitchen at an affordable price. If you liked these kitchen renovations, then: The smart renovation of small apartment is a fabulous read too. Would you opt for a mini-makeover of your home kitchen?